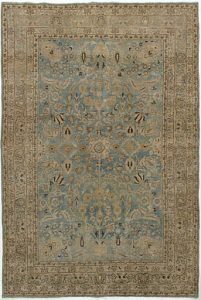 A distressed rug is not an abused one, but one that has been artfully recreated to follow current decorating style trends. Lida Lavender’s distressed rugs are durable, quality creations with plenty of life in them and are ready to enhance any up-to-date room. Contemporary interiors are all about crisp lines with everything sharp and precise, whether it be in overall design, furniture, artwork or secondary decorations. Distressed rugs are seemingly just the opposite and this contrast really works well. In a modern apartment or loft chrome furniture on a distressed rug looks great. In current lingo, they are the coolest floor coverings around.